Porlock Weir and Porlock Bay, Exmoor. 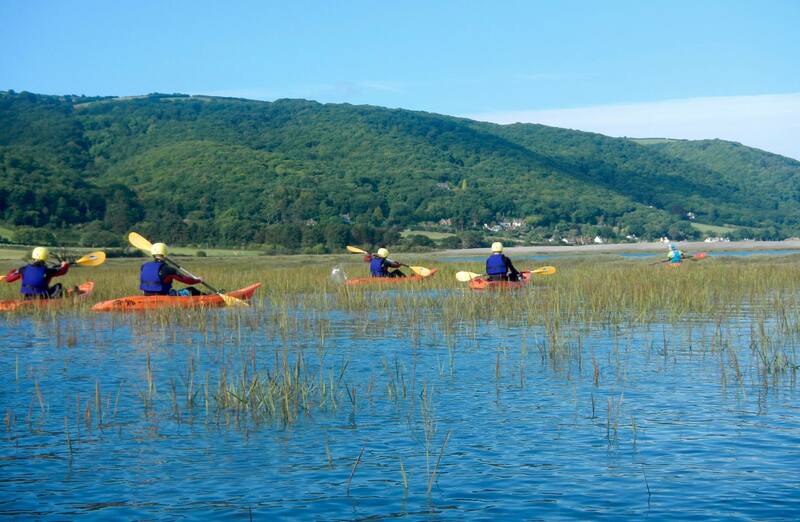 Porlock Weir (right) is a highly popular kayaking destination for a number of reasons.High tide brings seawater right up the low-lying estuary, creating channels and inlets perfect for exploring by kayak.These shallow, protected waters are a haven for wildlife and a great place for beginner kayakers. Adjoining the weir is Porlock Bay with a spectacular backdrop of the Exmoor coastline. Hours can be spent here paddling up the coast and admiring the scenery, and keeping an eye out for porpoises, fish and bird life. Explore large sea caves, plenty of stunning coastline and some secluded coves, along with an array of sea and bird life. Spot fulmars, cormorants, shags, oyster Catchers, razor Bills, guillimots, turnstones, black backed gulls, gannets and lots of other sea birds. Kayaking here you might also spot grey seals and sunfish; you might even be lucky enough to dolphins and basking sharks on our trips. Not to mention the amazing world of the rock pools and tide lines that hide some of the most interesting creatures! Cornwall has a plethora of options for kayakers of all abilities. On calm days the coast makes for great exploring of the beaches and cliffs, even for novice paddlers. On windier days with a bit more swell, it is the perfect opportunity to get in some kayak surfing on the waves. 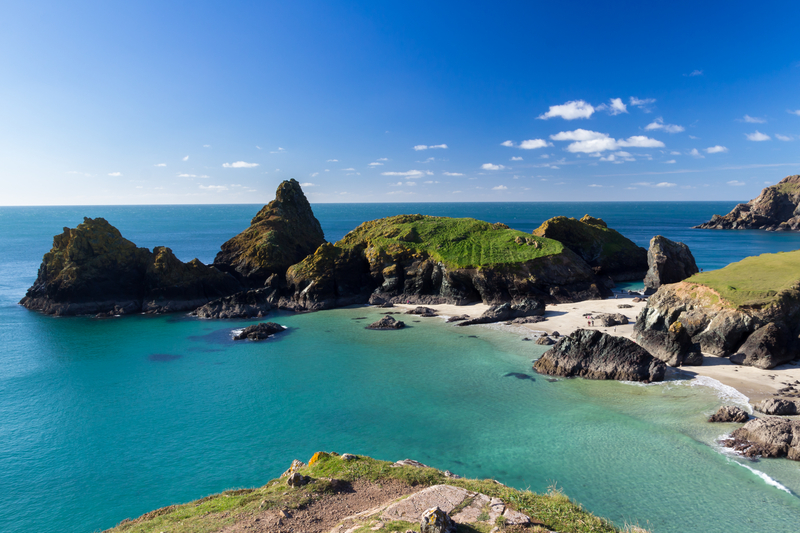 Pictured above is Kynance Cove, on the Lizard Penninsula. This is one of the most popular kayaking destinations in Cornwall due to the number of small sheltered beaches, cliffs and outcrops. Kayak Hire Providers in this area: To explore this area by boat, it’s easiest to have your own kayak as there are no providers really close by. The Lizard Penninsular and surrounding area are full of campsites and lovely local B&B’s – perfect for an active weekend away. Explore some of Torbays ancient coastline, visit remote beaches and go in search or marine wildlife in your kayak. Paddle through and around the dramatic geological formations and see the results of millions of years of creation. 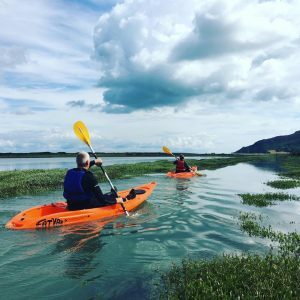 For those coming from the Bristol area, this is a really easy location to get to, and for a day out kayaking it provides everything you will want! 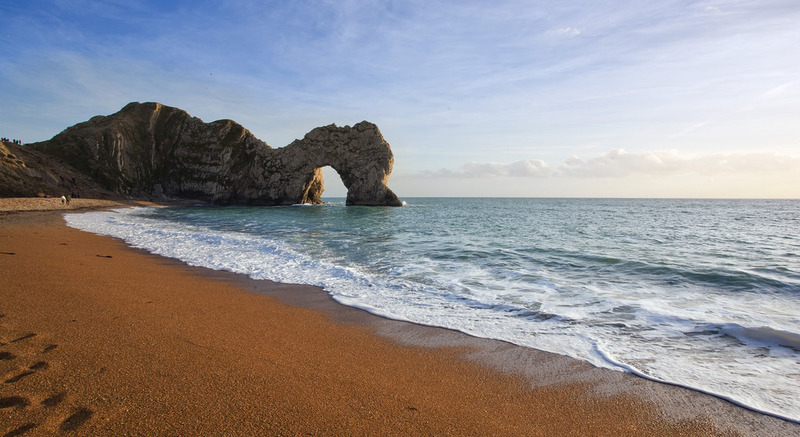 This lovely stretch of coastline comprises or wide beaches interspersed with tall cliffs. Minhead town is overlooked by North Hill, and is just outside the boundaries of Exmoor National Park. The ancient cliff exposures around the shoreline are dramatic and fossils are often exposed. Where are your favourite locations to kayak? Comment below!